WILLIAMSBURG — Skyrocketing rents, cramped apartments and a cut-throat rental market. Conditions that originally forced New Yorkers out of Manhattan are now sending them back, a report claims. A real-estate expert said Williamsburg and DUMBO homes have become so hot that people are being priced out — and Manhattan has become a cheaper alternative. A report by the brokerage firm MNS Real Estate said more affordable Manhattan neighborhoods including the Financial District, the Upper East Side east of Third Avenue, and Harlem have all become tempting alternatives to the hip parts of Brooklyn. "You're seeing some people go back to Manhattan," said Andrew Barrocas, MNS' CEO. "It's not a big trend, but you're seeing it happen." Alex Baker is a case in point. When his lease on his Bedford Avenue apartment was about to end, he decided he could no longer afford to live the Williamsburg dream and moved across the East River. "I have more space and pay less," Baker said of his current home in Manhattan. Williamsburg's mean rental prices in 2012 were $2,701 for a studio, $3,133 for a one-bedroom and $4,002 for a 2-bedroom, the report notes. DUMBO's were $2,853 for a studio, $3,712 for a one-bedroom and $4,985 for a two-bedroom. Real estate Eugene Litvak, who works with Citi Habitats in Williamsburg and Manhattan, said the idea of moving to Manhattan from certain Brooklyn neighborhoods made sense for some residents because "rents are insane" and still increasing in places like Williamsburg. Plus, Litvak said, finding an affordable apartment in Williamsburg could be harder because "turnover is in the newer buildings, luxury rentals," whereas longtime Williamsburg residents tend to hold onto their more affordable apartments. Williamsburg resident and chef Perry Fuchs, 26, said there was a reason why she stayed, despite seeing rent rise steeply in the past five years. "The food and entertainment is better here and in DUMBO than in Manhattan and it's by the waterfront," Fuchs said. "That means the economy is doing well, and that means I can make more money as a chef. It means people have more money to spend because they're richer...so I can charge more." But affordable housing advocates like Rolando Guzman, deputy director of community preservation for the North Brooklyn nonprofit St. Nick's Alliance, said the skyrocketing rents placed the worst burden on longtime residents. "Every year the Williamsburg rents are getting higher and higher and a lot of residents are being displaced. That’s the biggest issue that we see," he said, noting that struggling locals moved "far away," even out of the state. On the Upper East Side, members of the real estate community did not support the idea that their neighborhood had become a spot for Williamsburg and DUMBO's overflow. Thomas Wexler, a senior vice president at Corcoran, said the Upper East Side was very costly and in demand for its unique attractions. "It's still one of the top neighborhoods in terms of expense," he said. "The Upper East Side has wonderful things about it — it has Central Park, museums and great restaurants, and a lot of things that are in demand." Asked whether he had seen an exodus from Brooklyn's top areas, Wexler said "no." "I don't see people rushing over from Dumbo and Williamsburg to the Upper East Side," he said. "I'm not seeing any information about people going to the Upper East Side because Brooklyn is too expensive." Warburg Realty's broker Harriett Kaufman — who has been in real estate in the Upper East Side for more than 30 years — said a migration from Williamsburg to her neighborhood would not make sense because the areas have such different vibes. 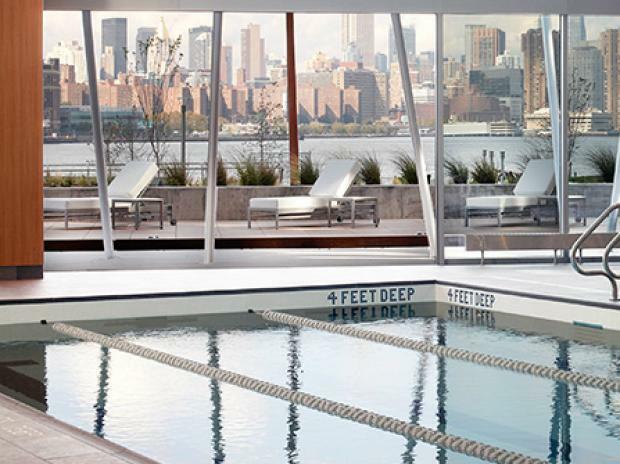 "That's a big leap from Williamsburg to the Upper East Side," she said. "It's a different animal." The rest of MNS' 2012 Brooklyn report — which used data from more than 10,000 available listings — showed that the average rent in the borough also increased more in 2012 than it has in past years. Rents increased 8.6 percent (up 2 percentage points from the previous year), with studios and one-bedrooms increasing far more than two-bedroom apartments. Studio rents increased by 10 percent, one-bedrooms increased by 11.6 percent, and two-bedrooms increased by 5.8 percent, the report showed. "There's a lack of inventory across the board," Barrocas said.